Does America believe in independence anymore? On this July 4th, it would be a good idea to take time out from enjoying the fireworks and other means of celebration and reflect on the patriotic conflict which the "Glorious Fourth" - or, as it should be better known, Independence Day - commemorates unto this day. For the past century or so, our political pendulum has swung between different economic views. Republicans generally favored big businesses and Democrats favored the "working man." When Democrats were up, labor unions found it easier to organize workplaces, and when Republicans were in power, labor unions were investigated for corruption. Both parties wanted the American economy and American citizens to prosper; they differed merely on the question of who should benefit and to what degree. As power shifted between the parties, the pendulum swung between taxing more and taxing less - but somehow, taxes, spending, and government employment always seemed to go up faster than the economy could grow. Over the course of the century, though, Democrats have altered the economic aspects of the political pendulum as they came to favor redistribution over wealth generation. Instead of trying to help working people earn more money as they did in your great-grandfather's day, today's Democrats prefer to take money from working people and give it to people who don't work or are not even citizens at all. This denies working Americans the liberty to enjoy the fruits of their labor, but modern Democrats don't seem to mind the inherent injustices of redistribution. They call this "social justice" as if taking from working people has no costs at all. The 2016 Presidential election showed that Democrats have more or less abandoned working people and their economic concerns entirely, and a great many working people have figured that out. Mr. Obama valued "fairness" so much that he wanted to increase the capital gains tax even though this was known to lead to less government revenue and fewer jobs. Economic destruction was OK because raising this tax would take money from "the rich" and increase "fairness." In saying this, Mr. Obama sounded less like a mainstream "tax and spend" Democrat and more like an egalitarian Fabian socialist - though, thankfully, not an actual Communist, since he never endorsed violent revolution, at least not in so many words. We have written many articles about these policies which damage the working class and reduce incentives to work. The differences expressed in the reaction to Mr. Trump's address to Congress shows that there's another pendulum swinging between patriotism and the borderless new-world order. American isolationists have always been leery of excessive interaction with other countries, starting with no less than George Washington's concern about "entangling alliances." Even when we did get involved, as in the First World War, we retreated back to our shores just as quickly as honorably possible once the fighting stopped. After World War II, though, we realized that we had to interact with other countries on a permanent basis in order to establish and maintain world peace, leading to the "Pax Americana" and three quarters of a century free of major wars between great powers, leading to the greatest and most widespread wealth increase in human history. As a result, our modern foreign policy debate has been about the degree to which America should look out for itself versus giving up its own interests in favor of other countries - our involvement in the world is now more or less a given. The immigration debate, for example, is an argument between those who say we should fight world poverty by admitting ill-educated immigrants from everywhere, versus those who say we should encourage such people to stay home and improve economic prospects in their own countries so as to keep what's ours, ours. George Washington and most of his fellow Founders would have found the idea of giving away American wealth to foreigners to be utterly incomprehensible. While they welcomed immigrants, they were quite particular that immigrants had to be industrious and law-abiding, and they were particularly concerned with the potential for divided loyalties which too many modern immigrants exemplify. Mr. Obama's declaration that he was a "citizen of the world" showed that he was a one-worlder who wanted to erase national boundaries and national cultures. His one-world ideas are the exact opposite of the patriotism we're supposed to celebrate on Independence Day. The whole point of independence was not to be beholden to foreign parts of the world, yet President Obama and his party seem hell-bent on the opposite whether the world, or America, likes it or not. Internally, the Obama administration intensified standard Democrat practice of using identity politics to pit interest groups against each other - the rich against the poor, blacks and minorities against whites, everyone against businesses, and so on. 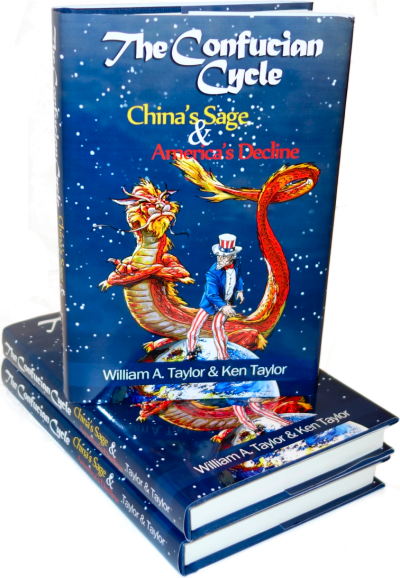 Weakening the forces which held Americans together would create chaos and make it easier for Americans to accept a stabilizing one-world government. Democrats don't seem to care or even know that many patriotic Americans see this as treason. In saying "When you open your heart to patriotism, there is no room for prejudice," Mr. Trump is saying that he wants to restore the original American motto of E pluribus unum, one from many. In other words - we don't care who you are or where you came from, as long as you have decided to be a patriotic American. If we can unite around the American ideal of mutually ensuring our right to "life, liberty and the pursuit of happiness," our economy and national greatness will be able to grow as in the past. This is anathema to the one-worlders, who rightly saw Mr. Trump's call for American unity in patriotism as declaring war on their longstanding dream of global government. Celebrating the original meaning of Independence Day makes them unhappy - so they call it "the Fourth" instead and hide behind a cloud of imported Chinese fireworks. ... that we here highly resolve that these dead shall not have died in vain -- that this nation, under God, shall have a new birth of freedom -- and that government of the people, by the people, for the people, shall not perish from the earth. Mr. Obama and his fellow elitists want the American government of the people, by the people, and for the people to perish from the earth in favor of one-world government. President Trump has quite rightly declared war on that notion - as he pithily put it, "I was elected to represent the citizens of Pittsburgh, not Paris." It remains to be seen whether or not our form of government shall perish from the earth. That's the real issue behind discussions of what this holiday means - is it a celebration of American greatness? Or has the America ideal gone out of style, and the Fourth of July become as meaningless as "Happy Holidays"? At least now we know it won't go down without a fight. It would seem that the pendulum has two other axis points...dependence and independence. The Democrats' greatest appeal come to those who believe that the primary role of government is to assure a comfortable living to citizens willing to toe the line. Whether it is the rent seeking wire pullers in Washington, welfare recipients, college professors receiving grants, government workers and their unions , or trial lawyers cashing in on Jackpot Justice there is a strong constituency to shake down the tax payer. These folks seem to embrace the " European Model"... an all powerful nanny state which works if you are willing to surrender you independence. It has evolved from monarchy to democracy, but the under lying assumption is that your fellow citizens exist to support you. The unique genius of the the Declaration of Independence was that it not only rejected King George but offered " life, liberty, and the pursuit of happiness...". No guarantees or soul selling to a Royal, but the opportunity to go as far as your talents, preparation, and desires can take you. The Democrats want to go back to the British model but substitute " Federal Government" for " Monarch". Surrender your freedom, and we'll take care of you. @bsinn - you have an excellent point.